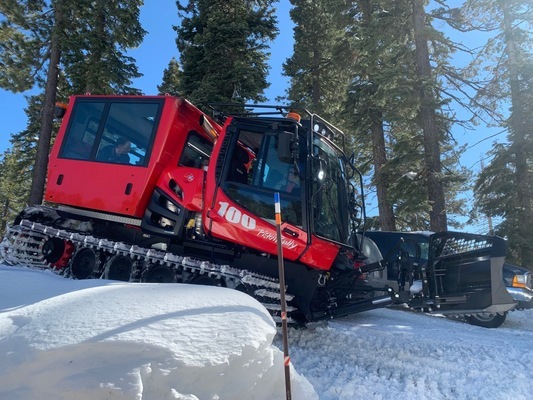 Your Tahoe Truckee Airport District recently partnered with Tahoe Nordic Search & Rescue (TNSAR) thru an Agency Partnership to fund a new Pisten Bully 100 snow-cat and truck hauler. Since taking possession of the snow-cat earlier this year, TNSAR has already responded to seven rescue calls. TNSAR is staffed by all local volunteers! 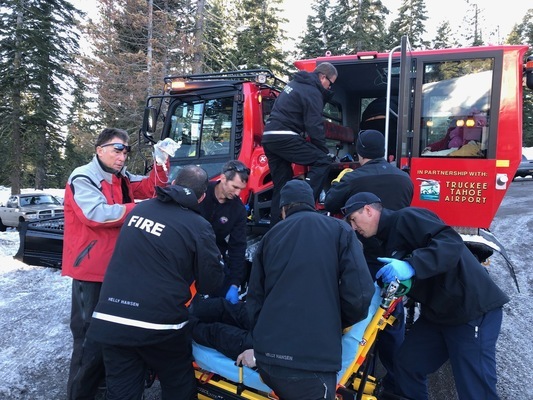 Pictured is a recent back-country rescue of a snowmobile accident victim near Watson Lake. 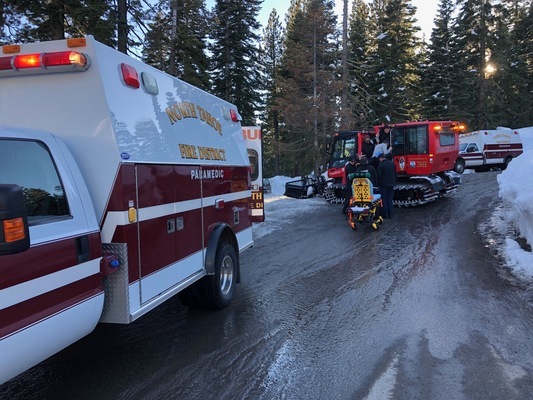 The snow-cat brought the injured snowmobile operator to a waiting ambulance at the top of Hwy 267. TNSAR has a history of helping the Airport District get to off-airfield aircraft accident sites. The most recent saving the life of a pilot who crashed a Piper Malibu Meridian in the mountains east of the airfield on March 03, 2014. KTRK supports and thanks all TNSAR volunteers and First Responders!